they look like old 'blacksmith' shares.All I can say is you wont be happy with a JohnDeere plow after pulling an International plow. 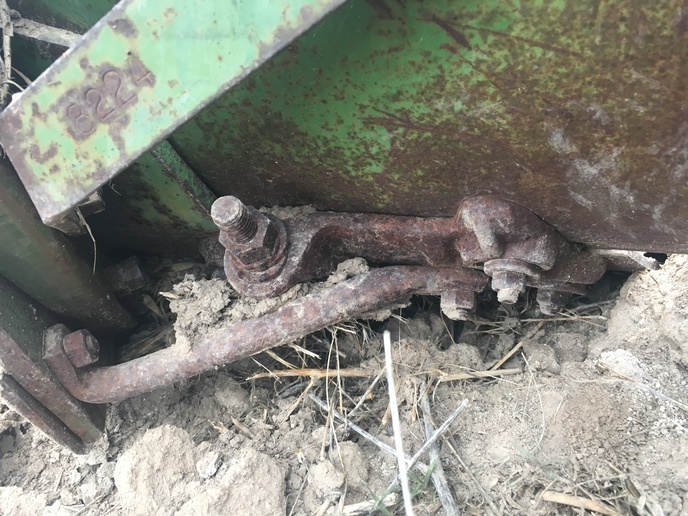 Looking at age of plow , I'm thinking NGP334 if 14" /NGP336 if 16".. they were made up to '1968'.. NGP is New General Purpose/ PC 158 on jdparts.com has lots of info..
Blacksmith type, look for the bolt holding them on, The throw away type did not use that large bolt to pull them into place. Dad bought the matching Deere 4-14 plow to pull with his JD R diesel spring of 1964. Dad hated running the tractor, said it was MY tractor, and it sat until I could run it on weekends and he would run his Super M-TA. Only pulled the Deere plow on 40 acres of alfalfa sod. Got tired of crawling around the field in 2nd gear, had one hill I had to drop into low gear on. Rest of the plowing I pulled a 3-14 IH #8, could run in 3rd gear then. Still had 16 acres of plowing left when the R left the farm, pulled the Deere plow with the SM-TA on that. Deere plow disappeared shortly after we were done plowing. Really disliked the IH #8 plows, Dad had two. No trash clearance. 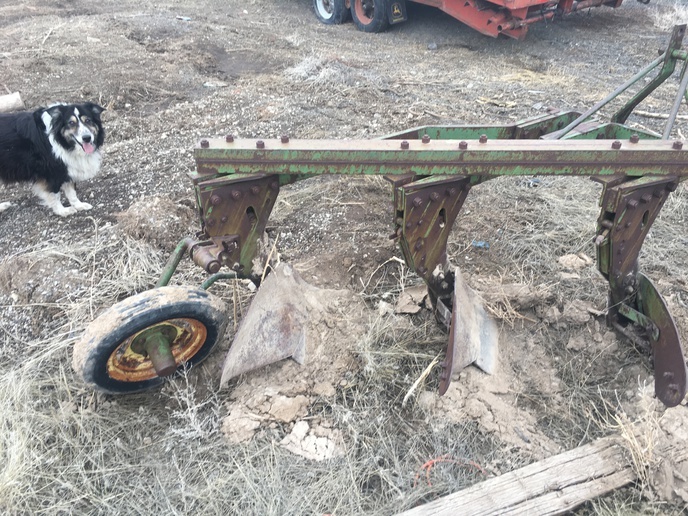 Neighbor had good things to say about Case plows, Dad bought a 4-14 Case pull plow to use with a Midwest plow harrow behind a 450 Farmall. Plugging when plowing old corn ground almost stopped completely. Couple years later the Case 4-14 was traded for a Case 5-14 and the plow harrow widened accordingly to use behind the 4010-D. Plowed 30 acres and the back bottom was pulled off the plow, was back in 2nd gear in corn ground again. 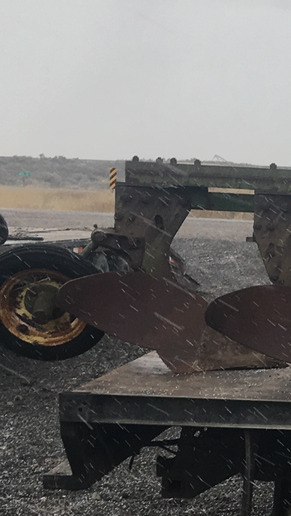 That plow sold as a 4-14 with a spare bottom and coulter. The newer IH pull plows, #60 & #70 would be my first choice but I'd have no problem buying or using a good Case plow. I have NO desire to plow with a #8 plow again, I've wasted enough time in my life digging corn stalks out of them. You can get new shares but they are expencige. Forget Tyler he is just a reseller, nothing against him. But go straight to the factory and that is Steve Rea at Ploworx. Just had his information in my hand yesterday don't know where I laid it off hand. He bought out the old cresent forge. Just go back thru this section and you will find dozens of reference to him. He is in Ohio. I think there is 2 or 3 referals to hin on here since new years day. If you use it you will have to learn how to sharpen the shares with heat that I can help with. Steve Smith of Republic, Ohio is known as the Plow peddler and he may have new or good used shares. silco@bright.net 419-618-0017 Last fall I sold him a bunch of plow parts I no longer had use for Including JD shares. Nice guy. As of now just go back 3 pages on Jan 29 and you will find Ploworx information. Steve rea, 13909 Duck Creek Rd., Salem, Ohio 44460 330-332-9386 ploworx@att.net web www.ploworx.com Still have leters on my computor from when he first started, seens nice. And on those shares that big bolt you see hooks onto a hook on back side of share and that is what holds the share on. 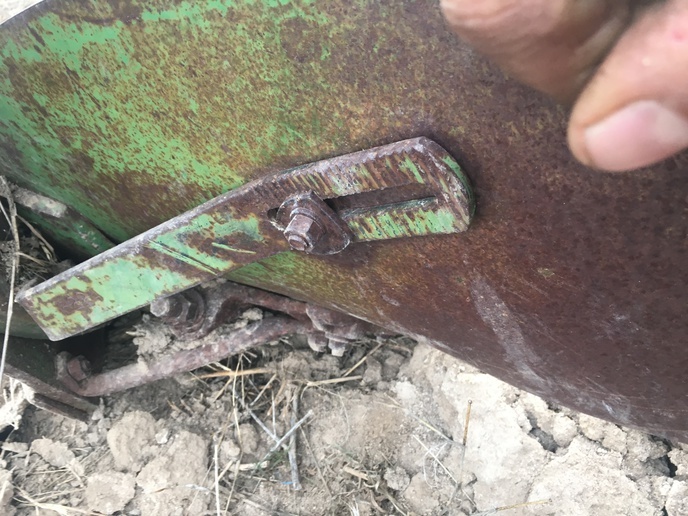 A 3/8" bolt with a small casting on that bolt goes into a notch on the frog and if the big bolt comes loose that small one will keep share from falling off. And I know Steve Smith has those pieces as that is some of what I sold him last November.